BookZone, an early indy book publishing platform that did charge a small fee. Local events such as the Fourth of July parade and vendor fair, again paying a small fee to set up a booth. “Press releases” in local papers. And this, folks, happened in far west Texas, the Big Bend area, in which the largest town, Alpine, has a population of about 5,000 people! The closest town to me is Fort Davis, population about 800. The POA I live in had a population at that time of about 200, now it is closer to 400 full-time residents. And, while there were folks in other towns such as Alpine that bought my books, the book store in Alpine refused to sell them on consignment. The book store in Fort Davis sold a couple; the local store in my POA sold a few. BookZone sold a few, but not enough to cause me to keep paying their fee, so I closed that account in 1999. 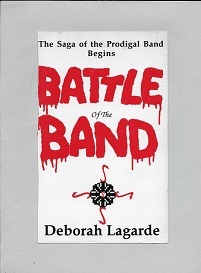 As to sales of Battle of the Band, at least 90 percent of sales came through three sources: the writer conferences, the local vendor events, and getting with neighbors. 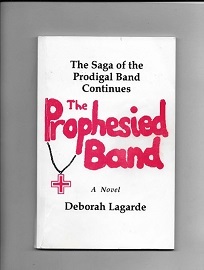 As for the second book, The Prophesied Band, with about 60 copies sold (I only got 100 printed…I learned my lesson about getting too many copies printed), most of those sales were again due to the conferences, vendor events and getting with neighbors. Small indy publishers and self-published authors MUST be smart about spending money on advertising, on-line and off-line, even if you are just creating e-books for sale on Amazon or your own store. At some point you are going to want to get your books printed—don’t forget, there are still people out there who either don’t have internet or spend little time on the internet or don’t buy stuff online. My suggestion (because for me it works)? Either print your books (if the books are fiction, I’d say no more than 250 books on your first printing) or create e-books, then sell them at local events or writer conferences you attend and among your local writer’s group AND create cards and flyers with some kind advertising with links to your e-books you sell yourself (or give away) or through Amazon or other platform, and do whatever you have to do to get the word out to your neighbors. If I can do this in a very rural remote area of only 400 people and still sell some books myself just by telling them about the books, then anyone can. Note: This past Saturday our local POA had a “spring fling” vendor event—buy/sell/trade/swap/garage sale—with donations to the local volunteer fire dept., sponsored by the local non-denominational church. About 100 people showed up, and I sold ten books! I’d say my method works! It;s great having a real author living in the DMR! And it’s great having a REAL FRIEND in the DMR! Thanks for calling me a “real author”…I don’t usually get those kinds of compliments!